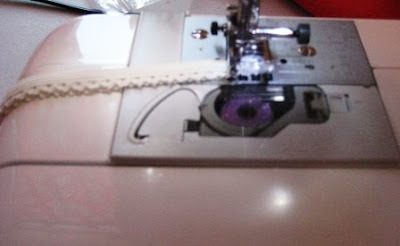 Please give a warm welcome to today's guest, Gretchen, from Gertie's New Blog for Better Sewing. I found Gretchen's blog after a fellow blogger recommended it to me. But I've also seen her via Burdastyle as one of their very prolific members! Her blog began in a sort of Julie & Julia style. In September of 2008, she came across Vogue's New Book for Better Sewing: a guide from 1952, that, through the completion of 14 Vogue patterns, promised to make one an expert home seamstress. 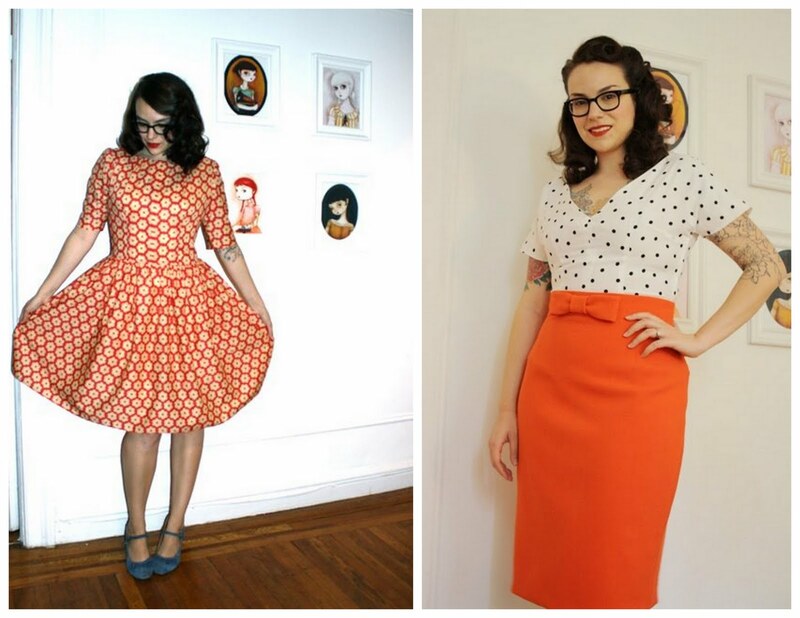 She decided to track down all the patterns from 1952 and make them, documenting each on a blog. Then on June 22nd she wrote her first blog post and hasn't looked back since. Read her entire story here. 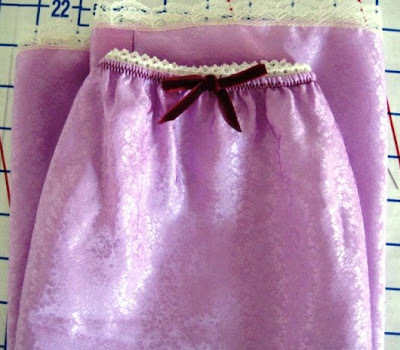 For all her sewing projects from the book see here. 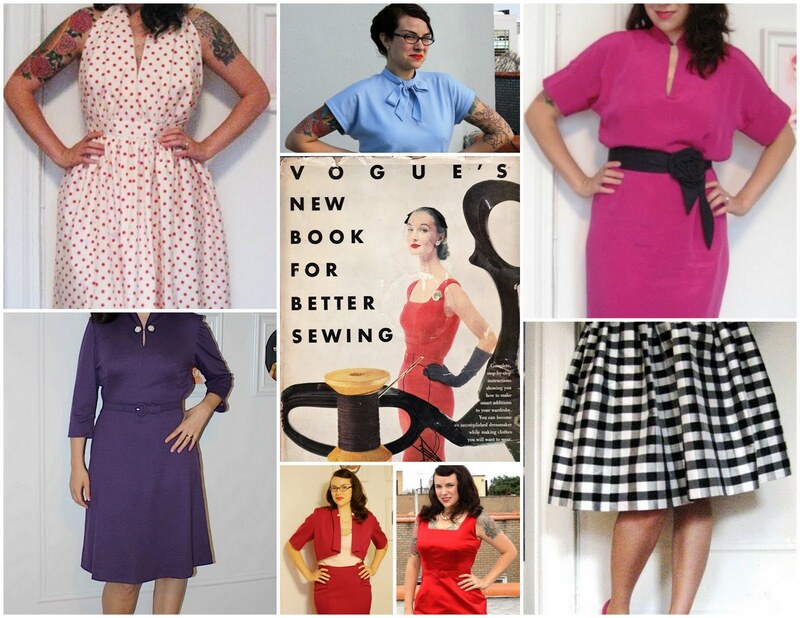 See some of her projects from Vogue's New Book for Better Sewing below. 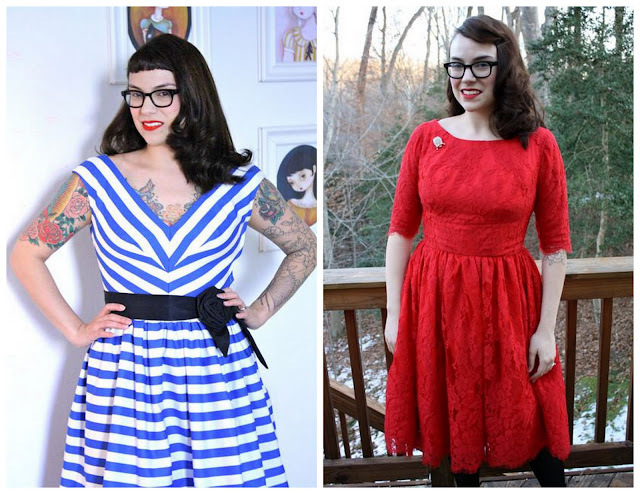 Gretchen's site has since grown into more than just a sew and see blog. 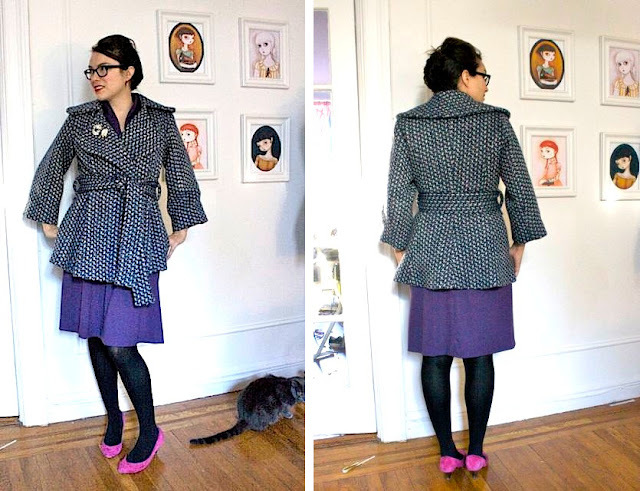 If you enjoy my 'Frock by Friday' sewalongs you should check out Gretchen's most recent 'Lady Grey' sew along. The pattern (by Colette Patterns) is moderately difficult but Gretchen takes you through each step, describing the RIGHT way to sew a complicated coat. See all her finished projects here! Just love the retro style! Love this red lace dress as much as I do? It's modeled after a dress worn by Michelle Williams. But one of my favorite parts of Gretchen's blog is her talent for explaining techniques. 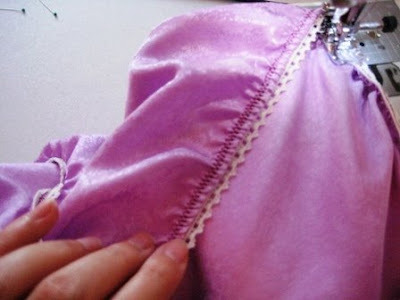 Like I mentioned earlier, Gretchen is fantastic at explaining the right way to sew. In fact she teaches sewing classes in New York and is currently authoring a book out Fall 2012 from STC Craft/Melanie Falick Books! See a full list of her techniques here. But now, let me allow Gretchen to show just what I mean when I say she's amazing. Here she is, explaining her half slip pattern! decided that I needed some slips. piece. And it's a rectangle. What could be simpler? 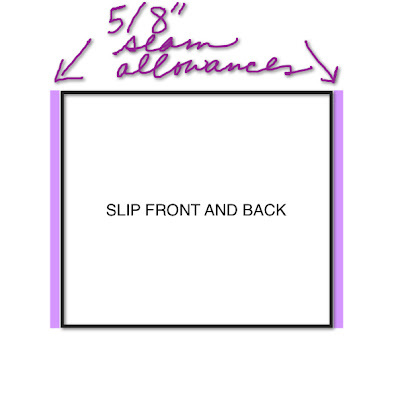 need to get 2 easy measurements: the width and height of the slip. Measure the widest part of your lower body, keeping the tape measure relaxed. derriere will be the largest measurement. Add 3 inches of ease to this number. So, if your measurement is 41, you'll get 44. Divide this number in half. 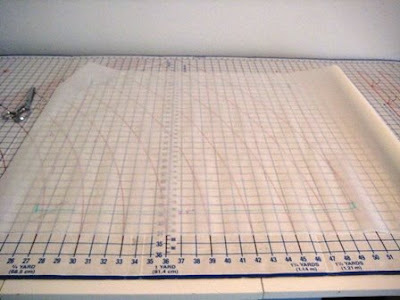 Your first measurement is 22". 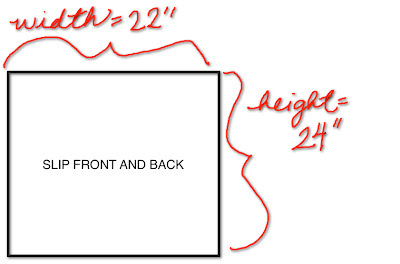 So, to make your pattern, draw a 22 x 24 inch rectangle. only. This is your pattern! this length. 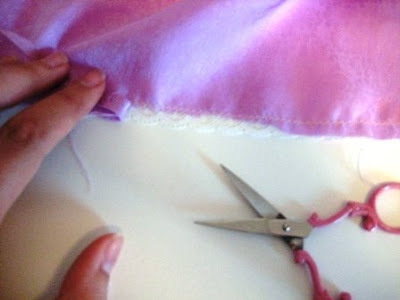 Add 1/2", and then cut the elastic. allowance. 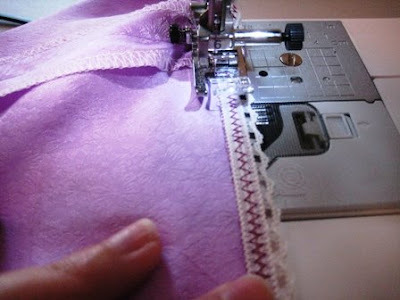 Stitch back and forth a few times to make sure it's secure. to the side seams and the center front seam. you'll have a lot of loose fabric. fit the slip as you go. 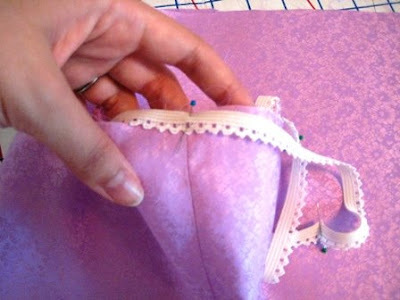 Pull with both hands, from the front and back of the fabric. 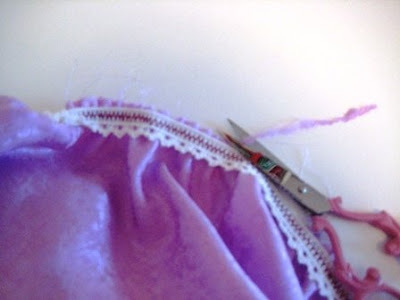 When you're done stitching, you'll see that the elastic has stretched out. 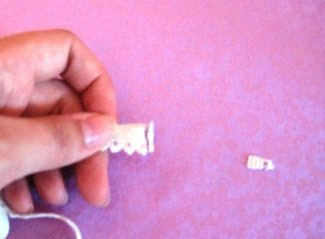 You need to steam it to shrink it back to its original size. the heck out of it. It will shrink up right before your eyes. Amazing! not your fabric. 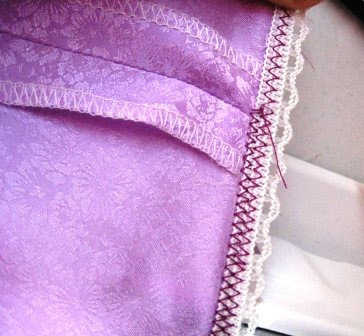 The scalloped edge of the lace will meet the raw edge of the fabric. fabric, close to the zig zag. thank you, she is very creative! 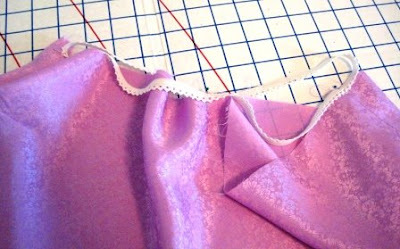 I can't wait to attempt this--I tried to add elastic to the waist of a dress but the tutorial i was using did not explain about the stretching/steaming/etc and it came out all crooked and bunched unevenly. this is so helpful!! :) thanks! and thanks for telling us where we can buy the trim!! Could you fix the broken tag? Half the pattern seems to be a link to the elastic. Gertie's blog is excellent! I've been reading it for several months now & have learned so much from her. Thanks for featuring her! @MelissaShould be fixed now. Please let me know if it still is wrong. 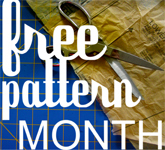 Loving free pattern month, keep them coming! 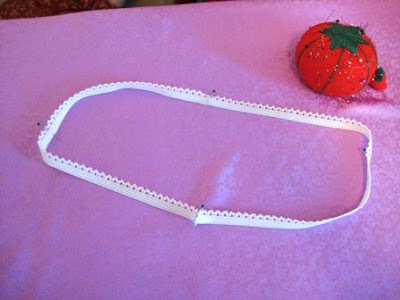 I have been looking for an easy slip pattern and this looks perfect! Thanks so much for sharing...can't wait to head over and check out Gertie's blog! Great tutorial! 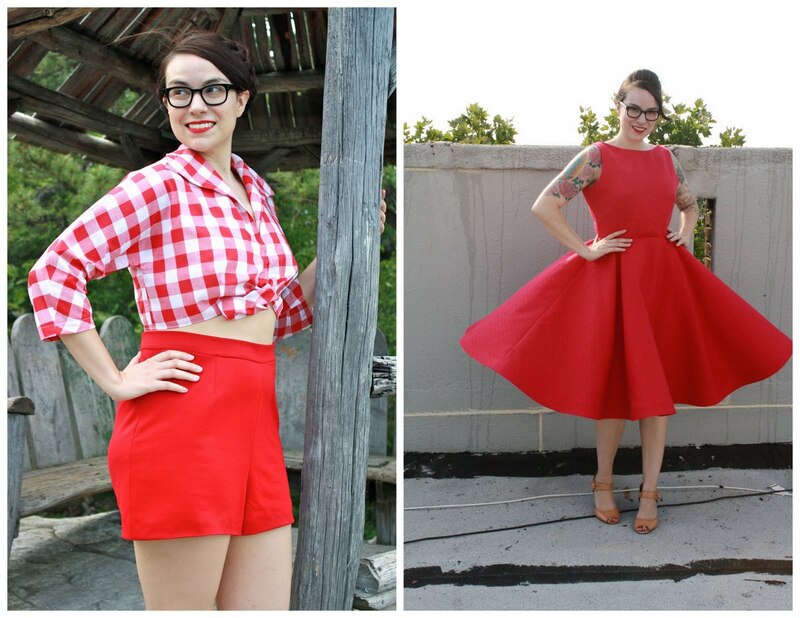 And I love that you can add some fun to an otherwise entirely practical garment by making it in a fun color. I love this! What a great project! Thank you! I'm a bit late leaving a comment but I just finished making this and its great. It was a really simple first piece for me to make (I haven't sewn anything for years). I'll be posting a picture of the finished slip tomorrow on my blog. Thank you for this tutorial! Your so creative. 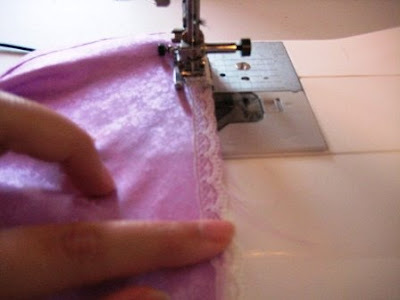 I appreciate your step by step process to make a skirt. 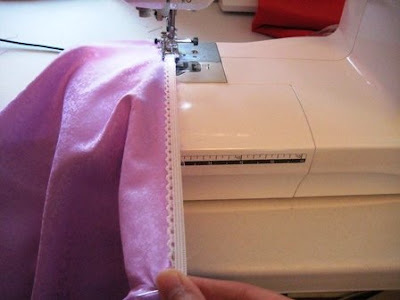 It looks very easy steps to make it, but we should have perfection in sewing. right.